At A.M Reid we have a diverse range of services available from Luxury Bathrooms, Boiler Installations through to Plumbing Maintenance. We have a diverse range of services available from Luxury Bathrooms, Boiler Installations through to Plumbing Maintenance. Please see below for a full breakdown of the services that we can offer you. From fully fitted luxury bathrooms to wet floor/shower cubicle installations, we carry out a wide range of renovations to bathrooms. Whether you have already decided on how to redesign the room or are in need of some advice, we will assist using our knowledge and experience to resolve any queries. All materials and workmanship supplied/installed by us will be guaranteed for one year from date of completion. 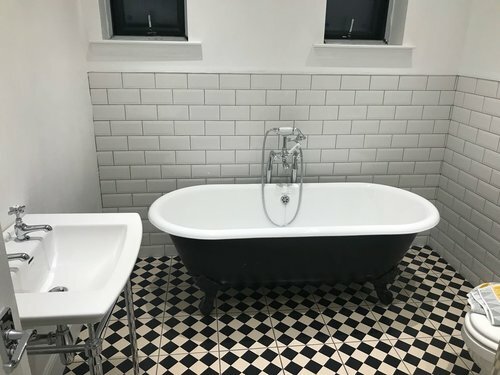 With the addition of BathCAD software we are able to offer you the opportunity of visualising what your new/renovated bathroom will look like. BathCAD enables us to provide a high quality 3D image allowing you to feel comfortable you have made the right choice. We cover a range of services from radiator installations, full central heating systems, cylinder replacements to boiler installations. We are an accredited installer with Worcester Bosch and we provide between a 7 to 10 year parts and labour warranty on boiler installations. 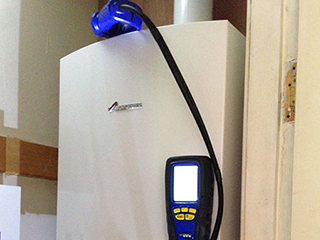 At A.M. Reid our fully qualified registered Gas Safe engineers will carry out boiler and fire services, landlord gas safety checks and boiler repairs and maintenance. At A.M. Reid we do chemical and power flushing along with installation of system filters to help prevent against sludge build up in central heating systems. We undertake all types of plumbing maintenance ranging from W.C. repairs, tap replacements, tap washers through to blocked sinks/drains. We also carry out the Plumbing Maintenance for clients including Bield Housing Association and various letting agents and have done so for many years. We undertake all types of leadwork from lead valleys, box gutters, step flashing's and flashing's to flatroofs. 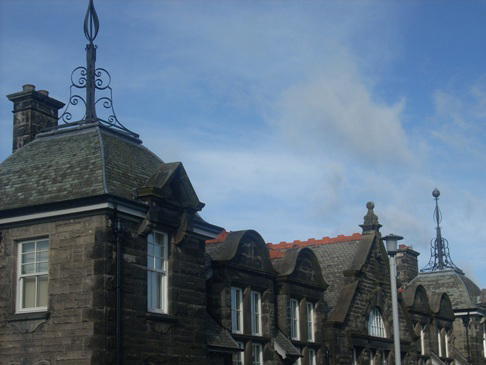 We also do all the leadwork for SRJ Windows and Conservatories and previous work includes carrying out the leadwork including the tower-bells at the oldest school in Dunfermline - St Leonard's Primary School. At A.M. Reid we install a range of gas and electric fires. Moving with the times we are currently working on more environmental form of systems with Jim Norris at Solar Energy Systems.